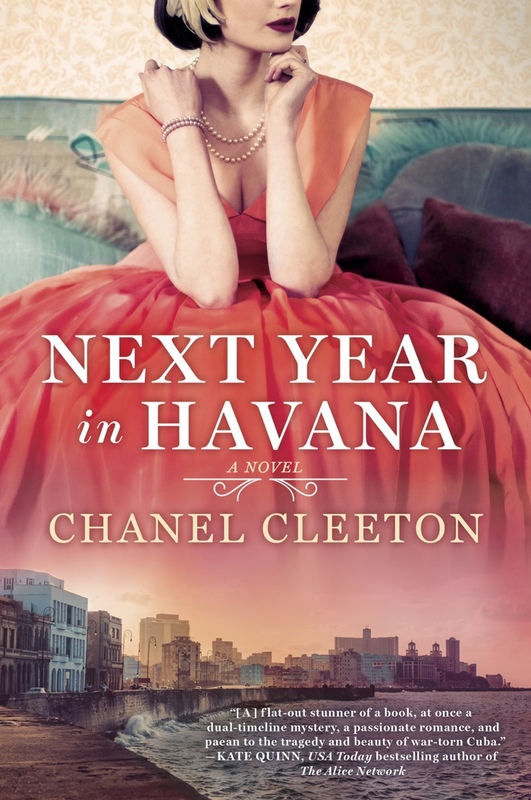 Next Year In Havana by Chanel Cleeton surprised me with how excellent it was. I did not know anything about the Cuban revolution going in. All I had to go on was some bloggers talking about how enjoyable it was via twitter. In addition, there’s the gorgeous cover which is the easiest way to get me to read a book. It was so hard to set down, once I started reading book. Cliche as that sounds, Cleeton’s writing pulled me in and would not let go. Cleeton’s Next Year In Havana follows a dual timeline. One timeline is set in present day. Marisol is the point of view character. She is visiting Cuba now that Castro has passed. Marisol has her grandmother Elisa’s ashes in tow and is looking for the perfect place to scatter them. The other storyline follows Elisa. Elisa’s story takes place at the height of the Cuban revolution. Her wealthy sugar baron family is affected by the Revolution. Also, she’s fallen in love with exactly the wrong person. Elisa grows up with all the trappings of wealth. She is one among several siblings. Actually, she is basically one of the middle children. Anyways, one day Elisa goes to a party with her sisters. Elisa meets a revolutionary named Pablo at the party and falls in love. From there, she questions a lot of things.Unfortunately, Castro is closing in on Havana and Elisa’s life is about to change. She’s so incredibly brave, however. As for Marisol, Elisa’s granddaughter, she is excited to visit Havana. She was essentially raised by Elisa, because Marisol’s parents are trash. The United States travel ban ended, however. Marisol is among the first tourists. She is there ostensibly to write a travel article. Still, Marisol ends up falling for a professor. His name is Luis. He is the grandson of her grandmother’s former best friend. Anyways, Marisol thinks the affair is innocent until she realizes that the Cuban government has their eyes on them. Meanwhile, Marisol is about to unravel a secret that Elisa had. Next Year In Havana is a beautifully written book. In addition, Chanel Cleeton mastered writing a book where you learn and are entertained. I find myself really excited to read her next book which will star Beatriz, Elisa’s sister. Cleeton really captures Havana. Her storytelling made me want to go to Cuba but also not, because their government is kind of scary. This book is one I would absolutely say you need to read if you just want to be transported.